Mainland China’s complete ban on ivory trading came into effect on 31 December 2017. It follows the government’s previous one-year ban on carved ivory imports announced in February 2015 that was then made permanent. On 30 December 2016 President Xi Jinping declared that China would eliminate the domestic ivory trade within one year. The government incrementally shut down carving workshops and trading platforms throughout 2017, with 67 factories and shops closed by March and another 105 by the year’s end, according to the state news agency Xinhua. Blake adds that the art world, including museums and private collectors of ivory antiquities, will not be affected. “Holdings of antique ivory are not affected by the ban. Only the sale and purchase of ivory as a commercial item are banned,” he says. Prior to the ban, an enthusiasm for ivory fuelled by China’s growing affluence was a major reason why the poaching of African elephants had reached epidemic levels. A 2008 study found that 3.5 tonnes of ivory were consumed legally in China per year, the researcher Daniel Stiles wrote in the Guardian newspaper in 2016. A study of ivory demand, led by Stiles in 2015, found that around 200 tonnes of illegal ivory were smuggled annually into mainland China and Hong Kong between 2009 and 2014, of which only ten tonnes a year were processed and the remainder stockpiled by speculators. During that period, 75% of ivory sales by weight and 90% by volume in China were illegal. Activists maintained that the remaining legal trade provided cover for the black market, and after several years of countering that ivory was part of China’s intangible craft tradition, the Chinese government agreed. 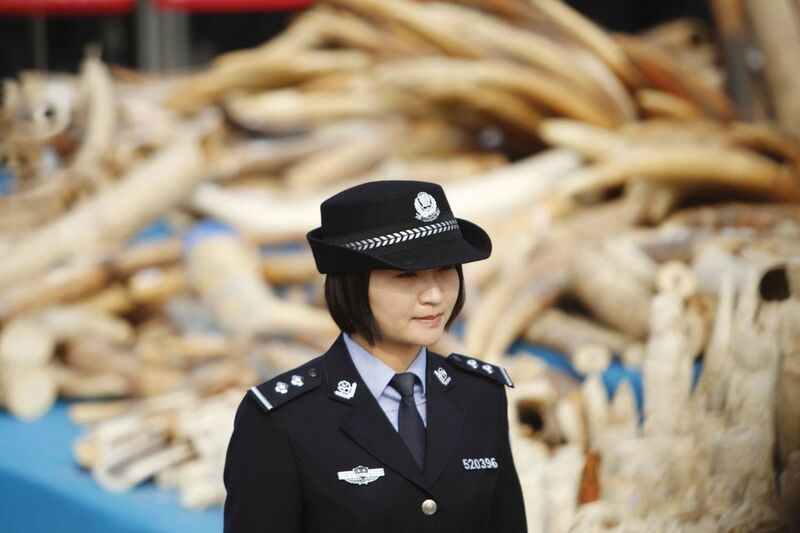 Last year’s partial ban led to an 80% decline in seizures of ivory entering the country illegally plus a 65% decline in raw ivory prices, Xinhua reported at the end of 2017. That political support stems from broad popular opinion: the World Wildlife Fund and the trade monitoring network Traffic found in December 2017 that, while only 19% of Chinese surveyed were aware of the ban, once informed of it, 86% expressed support. The campaign to ban ivory in China began in 2012 when a documentary made by Yao and WildAid aired on television. In 2013 Yao, WildAid, the African Wildlife Foundation and Save the Elephants launched a public awareness campaign using more than $180m worth of donated media space to built opposition to the trade in China. Yao was joined by Chinese celebrities plus international figures such as David Beckham, Prince William, Richard Branson and the cast of TV show The Walking Dead. Yao also proposed a ban to the National People’s Congress in 2014.